UFC 169 was far from the most thrilling show the promotion has ever hosted, so it was only fitting the night ended on a sour note – that is if you’re Urijah Faber. 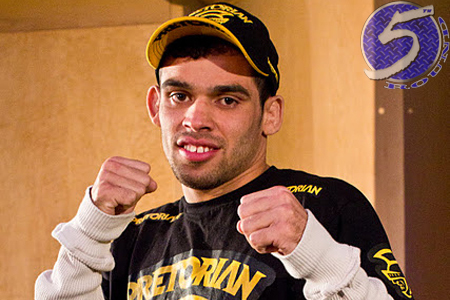 UFC bantamweight champion Renan Barao (pictured) dropped Faber with an overhand right in the opening round and starting laying the lumber on the canvas. Although Barao was giving him the business, it appeared as though Faber was blocking most of the strikes. “The California Kid” even gave referee Herb Dean the thumbs up to show he was not in danger and was weathering the storm. Apparently, Dean thought the thumbs up meant Faber was done so he stopped the assault. UFC president Dana White has long dubbed Dean as the game’s best referee, but admitted Dean messed up in Saturday night’s main event. Nonetheless, Faber is now posting a goose egg in his last six title fights. The official time on the stoppage came at 3:42 in the first round. UFC 169 took place inside Prudential Center in Newark, New Jersey.